Congratulations to Kyle Heck for being our 2012 Oscar Challenge Champion. This is Kyle's 3rd Oscar Challenge championship in the four years we have run the contest. This time he beat a field that saw a record amount of participants. What a great Oscars ceremony too! Now it's time to watch all the movies that could be honored at next year's Oscars. Watch for the 2013 Oscar Challenge ballot to come out soon after nominations are announced next January. Also, watch for preliminary Oscar predictions from our Oscar guru in the next couple months. Thanks to all who participated in this year's Oscar Challenge. View Oscar Challenge results here. This movie, directed by indie filmmaker Jeffrey Blitz, is one of the most unique and surprising documentaries I have ever come across. It follows 8 kids on their path to the 1999 National Spelling Bee. I have no idea how Blitz came to choose the kids that he did, but his selection turned out to be more interesting than anyone could have expected. In that way, it is not too far removed from Hoop Dreams in the director’s vision. He chose them from several different walks of life, and their stress-filled journey through the regional rounds to the nationals is intriguing and at times breathtaking to watch. It is an amazing story about the most unlikely of topics, and it as suspenseful and unpredictable as any great sports film. 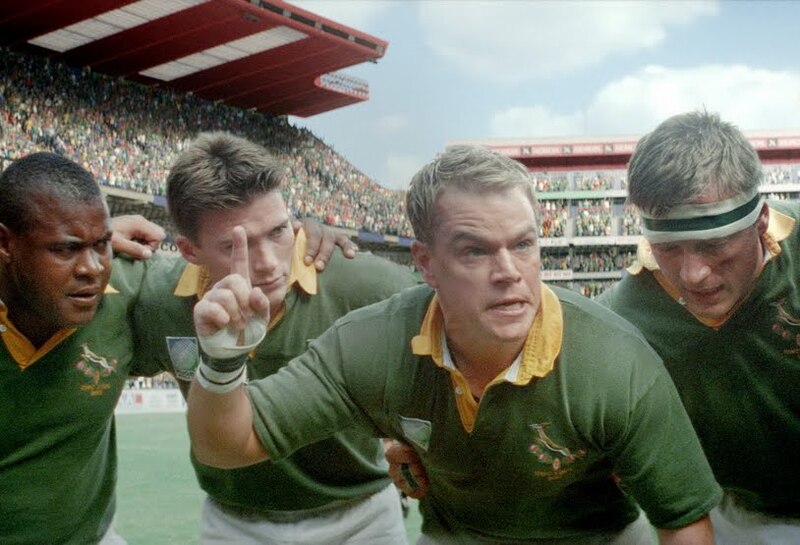 This Clint Eastwood crowd-pleaser is about South Africa’s unlikely run to the 1995 Rugby World Cup on their home turf. The movie is does a brilliant job of getting into the matches, showing the game from the ground level and really authentically letting the audience know what it is like on the field when everything is on the line. The movie is about much more than just rugby too. President Nelson Mandela (Morgan Freeman) was using the underdog rugby team as a way of uniting his nation, which was torn apart by apartheid. It is a brilliant, inspiring, and somehow quite underrated and underseen movie. 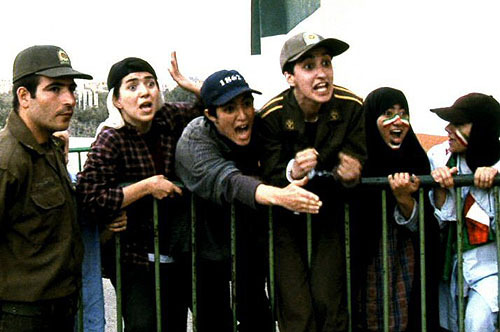 This Iranian movie from director Jafar Panahi is one of the most original and intense sports movies of the last 10 years. It is about a group of women who disguise themselves as men in attempt to gain access to a World Cup qualifier game in 2006. In Iran, women are not allowed to attend men’s sporting events, so this was a very serious issue. The women are found and held outside of the stadium during the game. It takes place in slightly quicker than real time, making each and every moment in it even more essential and breathtaking. You may not see a single shot of the game in the movie, but you feel like you lived it. It is an incredible movie. Director John Dahl fashioned what has become the quintessential movie about poker. 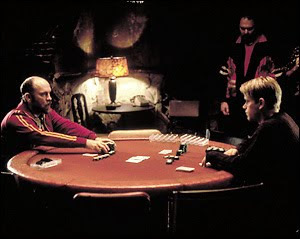 The movie is about a reformed former poker player/current law student Mike (Matt Damon) who gets mixed up in high stakes poker games again when his buddy Worm (Edward Norton) gets out of jail and has to pay back huge debts to loan sharks. The movie is the smartest poker movie that I have ever seen, and it basically started the huge craze around Texas Hold ‘Em. There are some scenes that are just instant classics, and as we see Mike make his way to his final opponent and nemesis Teddy KGB (John Malkovich), the audience is one the edge of their seats and glued to the screen like any great underdog story. Peter Yates directed his masterful coming-of-age tale about four friends who just graduated high school and are struggling to break out of their small-town life and image. 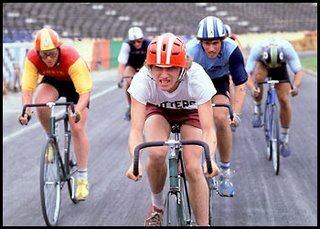 Dave (Dennis Christopher), one of the friends, is an accomplished bicycle racer who idolizes the Italian cycling team. He takes up the Italian culture, poses as an Italian to win over a college girl, and one day wants to race against the Italian team. The four friends, in attempt to feel some sort of accomplishment in their lives and stick it to the rich college kids who look down them, set out to win the Little Indy team cycling race. There are a few scenes in this that will go down among the greatest in any sports movie. It is a classic, widely-appealing, and inspirational movie that everyone should see. Stacy Peralta, one of the subjects in the film, directs this masterpiece of a sports documentary. The movie accounts the skateboarding culture in the 1970s. In Dogtown (around Santa Monica, California), the Zephyr skating team revolutionized the sport. Previously, it was just a way for the local surfers to ride when not in the water, but this group of local skaters had a vision of something greater. The movie chronicles the skateboarding heyday in the 70s, to the decline in the 80s, to its triumphant return in the 90s. 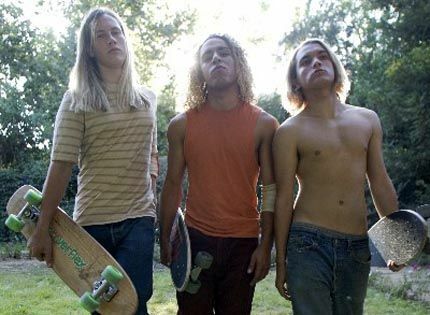 I am someone who could not care less about skateboarding, but this movie (later made into a dramatic feature as Lords of Dogtown) is so interesting and involving that I could not help but get caught up in it. It is a capsule that will take you back to that time. These guys are legendary in the boarding community now, and their story is important and just astonishing to learn about. This film by Norman Jewison is a brilliant character study of a man in 1930s New Orleans moving up the poker ranks. 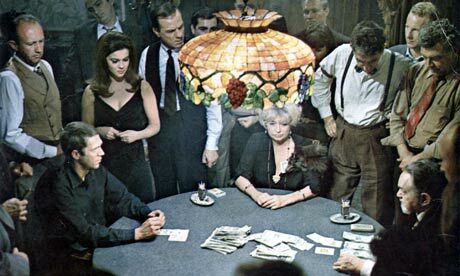 Eric Stoner (Steve McQueen), aka The Cincinnati Kid, wants to face “The Man” (Edward G. Robinson), the best stud poker player in the world. As the long-awaited and hyped match approaches, the Kid faces a variety of distractions and offers from gangsters to help him cheat, since his odds of winning are minimal. The final poker game is filled with as many twists and turns as any great sports match. This movie deserves a wider following. This documentary from directors Henry Alex Rubin and Dana Adam Shapiro is a brutally honest and inspiring movie about a team of quadriplegics who play full-contact rugby games on their way to the 2004 Paralympics in Athens. The movie centers on the rivalry between the American and Canadian teams, a relentless and brutal rivalry that has stemmed hatred between them. We get to know a lot about the team, including their personal lives and their candid feelings about their spinal injuries. These guys have a ton of pride. Their sport is as harsh as any sport in existence, shattering the image of what one can do with those “limitations”. Watching this movie was a tense experience. It does not play like a documentary. It is a sports movie through and through, and the heartbreak and thrill of these games reminds us of the possibilities of sports films when they are treated with the utmost authenticity and feeling. 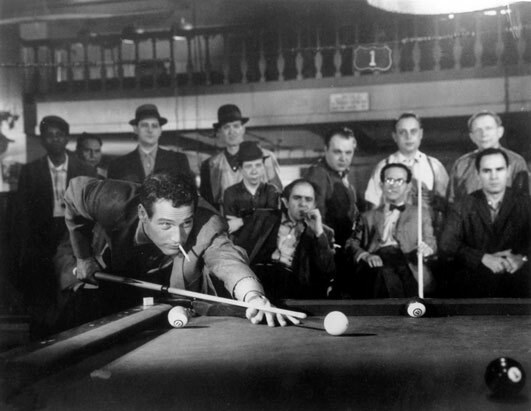 Robert Rossen directed this masterpiece about “Fast” Eddie Felson (Paul Newman; a character revisited in The Color of Money), a local pool hustler with a world of talent but without the discipline or attitude to be great. In a marathon game against the legend Minnesota Fats (Jackie Gleason), Felson loses not only the match but his confidence. With the help of his manager (George C. Scott) and his own pride, Felson avoids hitting rock bottom by beginning to play again. His girlfriend threatens to leave, and the grind of playing such high stakes may be more than Felson is willing to pay to regain confidence and meaning in his life. Everything about this movie is just about flawless. There is an inevitable buildup to a rematch with Fats, but it is getting to that point that makes this movie so special. Felson’s quest for redemption is complex and gripping. This is an emotional character study, a compelling sports drama, and one of the best movies ever made. Director Darren Aronofsky’s masterpiece centers on Randy “The Ram” Robinson (Mickey Rourke), a pro wrestling sensation about 20 years past his prime. His heart begins to give out, but wrestling is the only thing that The Ram knows. He cannot relate to his estranged daughter (Evan Rachel Wood) or his prospective stripper girlfriend (Marisa Tomei). He begins working at a grocery store on days when he is not wrestling in meaningless bouts for minimal pay. The ring is the only place where The Ram feels like he belongs and he cannot be hurt, though. This movie documents his struggle to find meaning in life and repair his broken relationships. The wrestling scenes are brutal and difficult to watch. If anyone had any doubt about whether pro wrestling was a sport of just a glorified performing art, that debate is settled in this movie. This is a film that will spark the deepest emotions in its audience, especially in the final scenes, which are as perfect and devastating as any sports scenes in history. When thinking up this list, there was little doubt what would end up at the top. This movie is one-of-a-kind, and a movie-going experience that I will never forget. So, I know I must have missed some good ones. What are your favorites? What do you think of this list? Let me know. Also, do not forget to participate in the Oscar Challenge.